Have a Shutterly Fabulous Christmas! It’s December time, which means only one thing for most of us – time to start getting ready for Christmas! It might be the most wonderful time of the year – but it can also be one of the coldest. As the cold finally starts to set in, why not think about installing some real wood shutters to your home to help keep Jack Frost out? Offering an extra layer of insulation and comfort to your house, shutters are an aesthetically pleasing way to provide ventilation and warmth without ever compromising on style. Even if you’re going away from your home this Christmas – perhaps to visit family and friends, or maybe for a well-earned holiday – shutters still serve a useful purpose: even if you’re not in the home. Shutters make it impossible to tell if someone is at home or not, providing privacy to the interior, even when the slats are open with light pouring in. Giving the illusion that the property is being lived in will then make it significantly less tempting for burglars – many of whom strike during the holiday period. 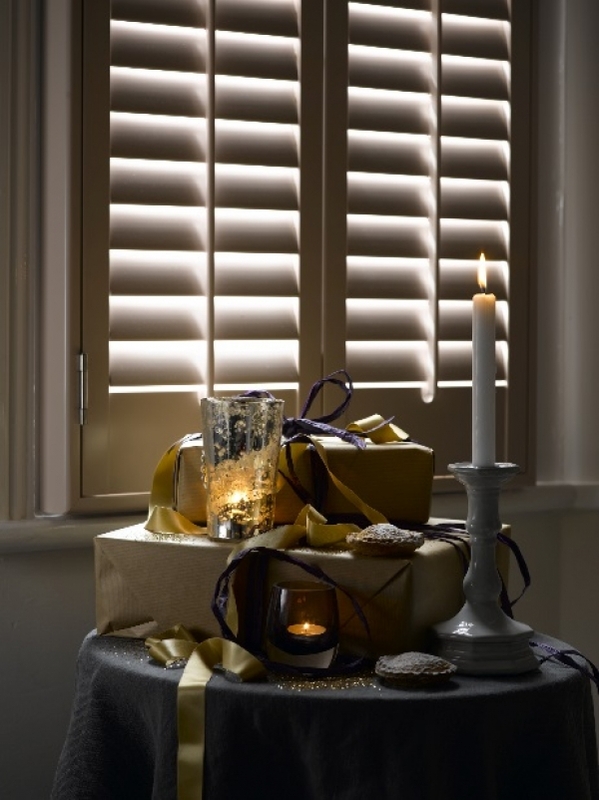 If you’re planning on just staying in at home with your family at Christmas, shutters are an incredible way to dress the home – whatever the season – and will make a fantastic present for your home! Happy Christmas from all of us at Shutterly Fabulous!